–Arthur tries some of Doug’s kids breakfast cereal and gets the prize 3D glasses. Doug is clearly upset because the cereal is his but he tries to be an adult about it. But he can’t because Arthur won’t stop acting juvenile. So Doug acts childish in return and the back and forth ends with Arthur ripping up the glasses and Doug destroying the still-full box of his own cereal as Carrie walks in. –Arthur asks Doug how many stamps he needs for tickets he is mailing. Arthur doesn’t like Doug’s answer so Doug insults Arthur’s mooching off his family. It ends with Arthur destroying Doug’s sandwich and Doug destroying Arthur’s mail. –Arthur asks Doug to pass the “catsup”. Doug won’t until he says “ketchup”. Arthur refuses so Doug pours an insane amount of ketchup on Arthur’s burger, demanding that Arthur call it “ketchup” as both yell back and forth until Arthur cedes. “And that’s how we learn”. –Doug is answering a political survey over the phone when Arthur comes in and tries to make a phone call on the same line. He realizes what Doug is doing, insults his answers and this begins an exchange of severe putdowns between the two (including “Why don’t you tell him you’re enormous?” and “Why don’t you tell him you live in our basement?”) that ends with Doug asking “Why don’t you tell him your total salary last year was $12?” To which Arthur replies: “That was after taxes!” I don’t know why that Arthur line is so funny. Maybe the look on his face. Or the volume of the conversation. Or how inane the comment is. But I hurt from laughing at it and I’ve seen it several times. As far as cranky old curmudgeons, Arthur Sponer takes a backseat to no one. Merriam Webster defines crotchety as: subject to whims, crankiness, or ill temper. Thesaurus.com gives us these synonyms for crotchety: Cantankerous, crusty, grouchy, grumpy, and ornery. 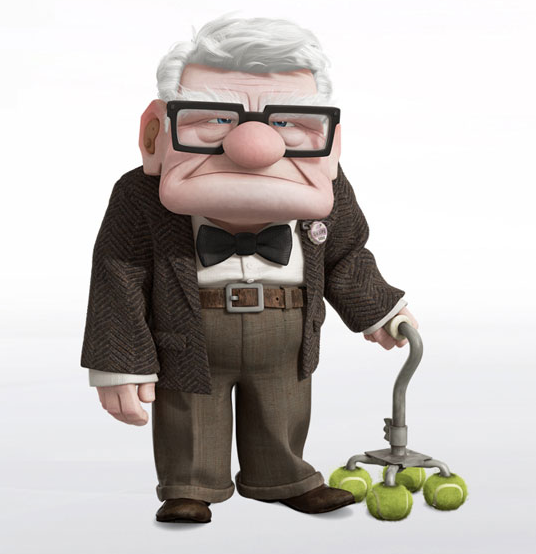 When we first meet the older Carl Fredricksen, he is all these things and more. He has grown sour after the passing of his beloved Ellie. He is prone to outbursts of anger, is mean-spirited to Russell, a young “Wilderness Explorer.”, and doesn’t seem to enjoy much about his life anymore. In other words, every second he is on screen is a joy for the audience. His complaints are hilarious. His lack of patience with Russell, and anyone else for that matter, never ceases to amuse. Buried deep down in Carl is a noble, honest, and good man. It takes some time for the audience to find it, but the journey is no less enjoyable during the search. Once they have nearly reached their destination by air, they are forced to continue the rest of the way on foot. Carl, wanting things quiet delivers this little nugget of gold to Russell, “Now, we’re gonna walk to the falls quickly and quietly with no rap music or flashdancing.” I’ve always loved that the two things Carl mentions are rap music and flashdancing, as if those were obviously things Russell would be involved in. Finally, early in the film, when the builders are trying to get Carl to leave his home, he spots one of the businessmen in the distance. The man is wearing a suit, looking distinguished and professional. Carl yells at him, “You in the suit! Yes, you! Take a bath, hippie!” I think that one speaks for itself. When Merlin transforms Arthur and himself into squirrels, an older, lady squirrel becomes quite enamored with Merlin. Growing every more frustrated, yelling “Madame!” at key points of discomfort, Merlin finally decides enough is enough, “By George! I’ve had enough of this nonsense! ALAKAZAM!” He transforms himself back into a human being, leaving the female squirrel confused and upset. “There! Now you see? I’m an ugly, horrible, grouchy old man!” Even Merlin recognizes that he belongs on this list. 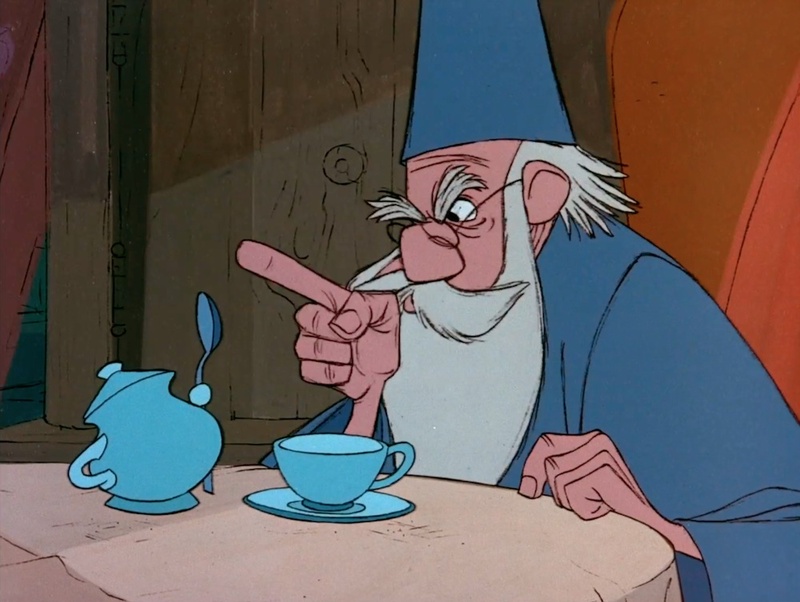 While he could be a very grouchy curmudgeon, Merlin also had times of great wisdom, like when he taught Arthur the lesson of love during his very squirrely adventure: “Ah, you know, lad, that love business is a powerful thing,” said Merlin. 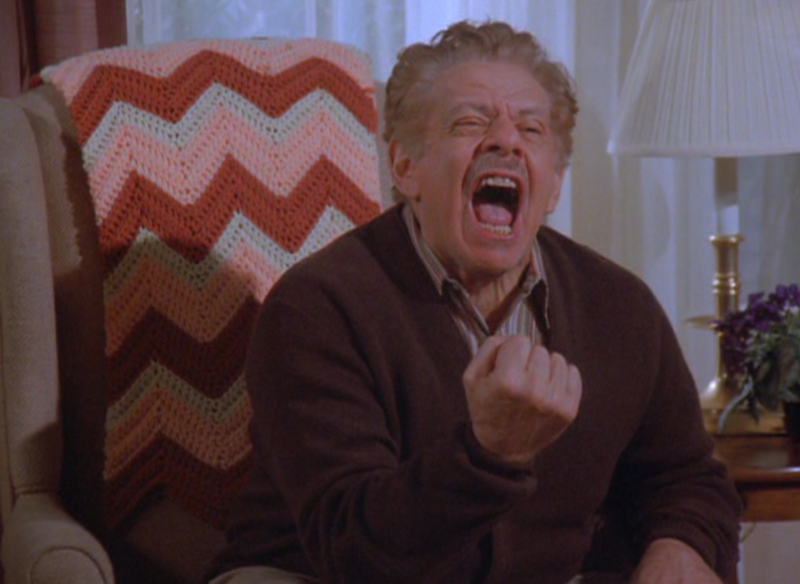 – In my mind the episode “The Strike” is the perfect Seinfeld episode in just about every way. It is in this episode that much to George’s chagrin, Frank’s creation, the alternative holiday Festivus, is revealed to the world. – Festivus wasn’t the only case of Frank thinking outside the box. 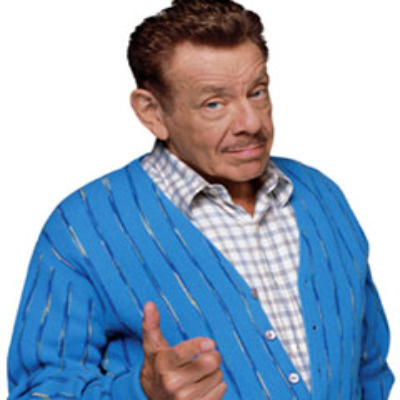 In the episode “The Doorman” in another insane fit of invention Frank collaborates with Cosmo Kramer to invent the Bro/Mansierre to assist older fellas in holding up their increasingly sagging chests. I’ve long considered The ‘Burbs to be one of the Tom Hanks’ greatest films. I realize I am in the minority, but I am not alone. I’ve met many people that believe the film is wildly underrated. What makes the film work so well is not just the fantastic performance by Hanks, but the wonderful and eccentric supporting cast. 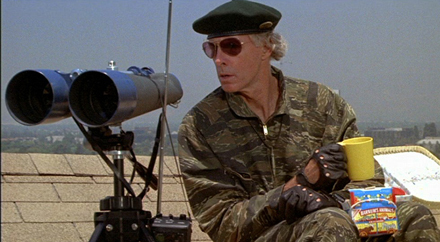 No one steals more lines and earns more laughs than Bruce Dern as Lt. Mark Rumsfield. Rumsfield is a retired military man, yet still living in constant vigilance and readiness for war. He is opinionated, suspicious of everyone, and ready to jump to the worst conclusion possible at the drop of a hat. Rumsfield takes great pride in his yard. Unfortunately, he has a neighbor (Walter Seznick) down the block whose yard far surpasses his own. His reasoning why his yard can’t compete with Walter’s, “That old fart. He’s got the best lawn on the block. And you know why? Because he trains his dog to crap in my yard.” A bit coarse and rough around the edges, but straight to the point. That should give you a good idea what to expect from Lt. Mark Rumsfield and an indication why he made our list.